Plastic pollution in waters around the remote British island of St Helena is putting one of the largest fish on the planet at greater risk of extinction. Whale sharks, which are already listed as an endangered species, pass through the island’s water as they migrate from November to June. The volcanic island lies about midway between South America and Africa in the South Atlantic Ocean, thousands of miles from it’s nearest neighbour. But it is plagued with plastic rubbish that washes ashore from neighbouring continents. 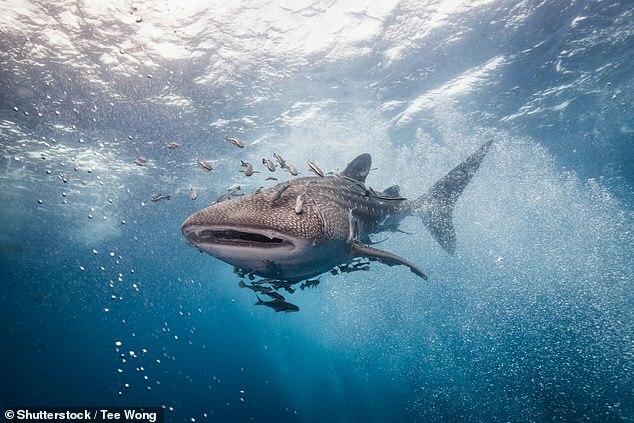 Experts have warned that filter-feeding whale sharks are threatened because they mistake plastic particles in the water for plankton. 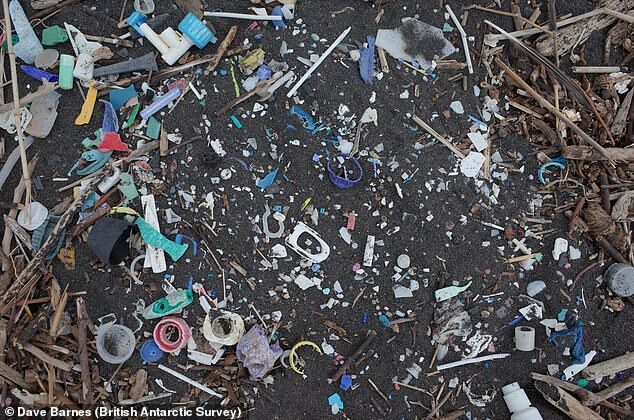 Experts from the British Antarctic Survey (BAS) say that marine debris on beaches has increased more than ‘ten fold’ in the past decade. One plastic item was found every ten feet (three metres) on the island’s black volcanic beaches back in 2003. Ecologists now say that they are finding hundreds of items in the same area, with more and more plastic washing up on shore with every tide. 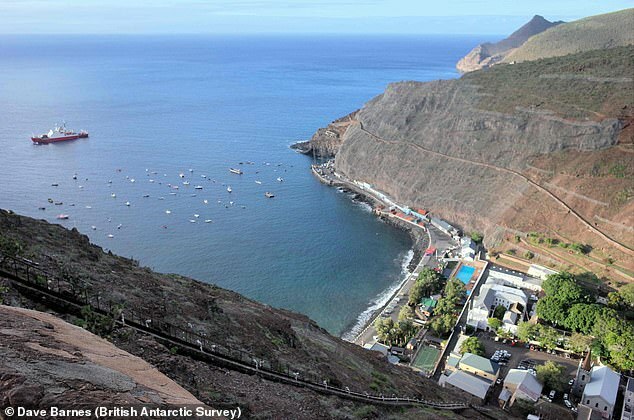 Dr David Barnes from the BAS told The Telegraph: ‘There has been an absolutely dramatic change in St Helena. There are unbelievable levels of change and it’s happened in our lifetime. ‘The animals that eat plankton and smaller algae are not discriminating between microplastics and their food. Whale sharks are listed as endangered by the International Union for the Conservation of Nature due to the impacts of fisheries and vessel collisions. The reduction in sightings has placed them in a vulnerable situation. According to information of 2016, there are about 7,100 whale sharks in the ocean. Experts have warned that they are even more at risk because they are filter feeders mainly feeding on plankton in huge gulps, ingesting microplastics and larger pieces of plastic instead. Microplastics cause significant issues for marine organisms, including inflammation, reduced feeding and weight-loss. Waterways in Greater Manchester are now so heavily contaminated by microplastics that particles are found in every sample – including even the smallest streams. This debris – including microbeads and microfibres – are toxic to ecosystems. Microplastic contamination may also spread from organism to organism when prey is eaten by predators. Larger pieces have been found in the intestines of whales and seabirds, where they are thought to be potentially fatal and can pierce stomach linings and block digestive systems. 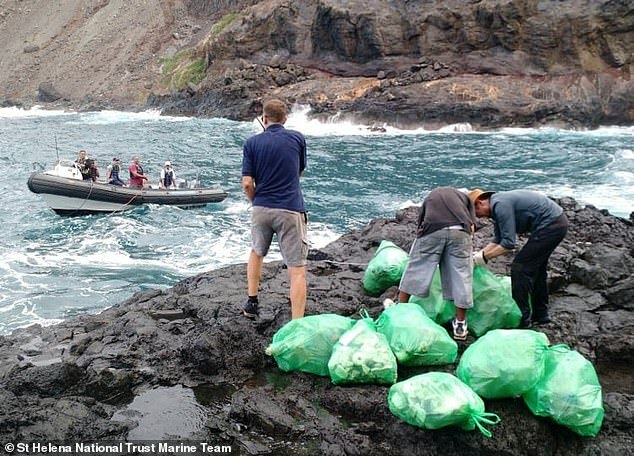 Beth Taylor from the St Helena National Trust told the Telegraph: ‘Given the remoteness of St Helena, if there are still plastics washing up from other places, it shows how huge a global issue it is and it does need to be highlighted. ‘It’s unfair that St Helena gets plastics from other countries but it’s not the only place that suffers from that – back in the UK you’ll get things washing up on the shore. 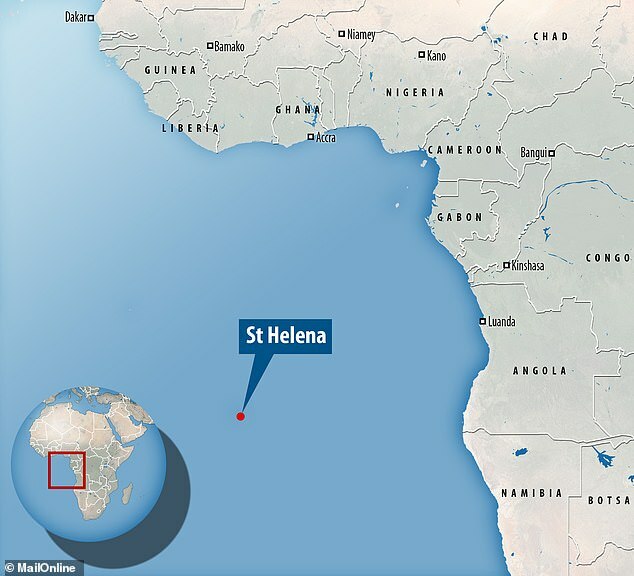 Plastic pollution in the South Atlantic Ocean could threaten St Helena’s ‘huge array of fish and marine life,’ along with coral ecosystems, according to Defra. Last June, the St Helena National Trust Marine Team and the St Helena Government Marine Section walked to Sharks Valley on the island for a beach clean-up. 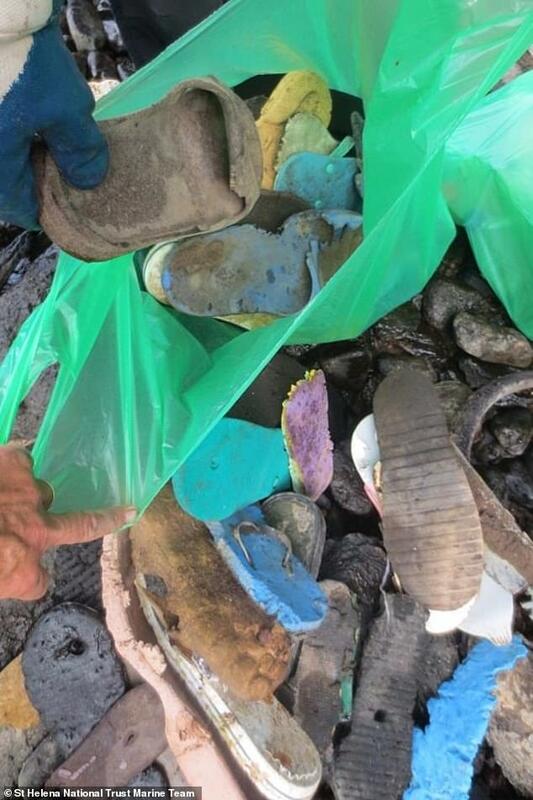 ‘More than 1,000 plastic bottles, 1,540 pieces of polystyrene, 50 fishing buoys/floats and 124 flip–flops and shoes were collected by the volunteers,’ Defra reported.